It’s not every day that you have to pick out shingle color, or that you’re in the market for a new roof. Such a big purchase means that getting it right is the difference between a job well done or the hassle of not being satisfied. We’ve all heard the saying “proper prior planning prevents poor performance” right? Choosing the right shingle color is precisely one of those situations that it’s better to be prepared than sorry. Shingle roofing is important to the overall function, safety and aesthetic appeal of your Arizona home. The color you choose should fit into the overall style of your home and, if you live within a housing community, matching the feel and style of the homes surrounding you may be important as well. Your Mesa roofer is able to help you choose the color and style that best fit your specific wants and needs. Pick a shingle color that will complement your home. What does your home feature? Do you have a brick exterior? Does your home have a colored siding? Perhaps your home is more rustic and in an urban area. Whether your style is more traditional or represents a modern feel, the shingle roofing that you choose should complement these styles and features to best suit your exterior aesthetic. There are plenty of style guides available online to help you get a feel for what shingle roofing is best for your home. This one in particular shows colors, styles and variants of texture to help you decide on the shingle color for you. Visit this style guide with for some easy inspiration. Considering the architectural style of your home is important as well. The shingle roofing color that may look good on a Ranch-style Arizona home may not look as good on a colonial style home or Southwestern style bungalow. For example, as reddish or clay colored shingle roofing may look great on a Spanish style home but may not complement a more traditional home. Drive through different neighborhoods to get ideas and see examples. Decide on how you want your home to present itself to the outside world – i.e. curb appeal. If you are adding shingle roofing to your forever home or just wanting an update before selling, choosing a more neutral color for your shingle roof installation typically means always fitting in with current trends or not having to worry about the style being something a potential home-buyer will want to change. If you want to follow a more distinguished style, your Arizona roofer can help you choose a bolder color for your shingle roofing. Speak to your fun side or match the pots in your garden with the endless color possibilities of shingle roofing. Whichever you choose, new shingle roofing adds value to your Arizona home. Think about HOA’s and neighbor preferences. If you live in a housing community, it doesn’t hurt to keep in mind the overall style of the neighborhood or those homes directly surrounding yours. There may be rules in choosing shingle roofing colors set in place by HOA’s or housing committees. Perhaps you can get inspiration from homes near yours or find a color for your shingle roofing that complements your neighbor’s house but sets your home apart. Exploring all of your options with your roofer means that you will come out of this process satisfied, compared to choosing a color just to get your shingle roof installation done. 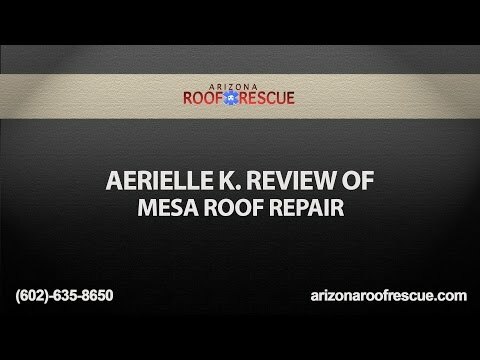 Processes like these take time, and enjoying all the choices will make you even happier when your new shingle roofing in Mesa is exactly what you hoped it to be. Consider the climate in which you live. The color of the shingles that you choose can actually help, or hurt, your energy bills. The roofing color that you decide on can mean a temperature difference in at attic per se, of 20-40 degrees. White, or lighter shingles will reflect sunlight to help keep the temperature of your home down and in the Arizona summers that can make all the difference. If you live in a cooler climate, choosing a darker shingle roofing color may mean keeping some of the natural heat in the home while helping melt snow and ice from your new roof. Regardless of the endless options that you may encounter while picking out which color to go with for your shingle roof installation, creating the right illusion for your home will be what sets your home apart from the rest. Darker shingle colors tent to make homes look smaller (just as black does with clothing) while white and lighter colors have the opposite effect. With so much to consider, we suggest that you do your research and make sure you shop with care. Although it may take time, your expert roofer can provide you with samples to help decide on the best shingle roofing color for you. With all of the online forums and style guides that now exist it is easier than ever to find examples of shingle roofing. Other than choosing a color that will look the best, you will sleep easy knowing that your Arizona roofer took the time and dedication to ensure your new shingle roof installation is not only an aesthetic upgrade but a valuable addition to your home. Being a homeowner can be stressful, so save time, money and effort by choosing the right color for you.